Varun Dhawan and Shoojit Sircar are collaborating on a slice-of-the-life love story "October", which will be shot in Delhi. The production is set to begin this September. The movie also brings back Sircar's dream team of writer Juhi Chaturvedi and co-producer Ronnie Lahiri after "Vicky Donor" and "Piku". Sircar, who grew up in Delhi and is familiar with the city like the back of his hands, said he always wanted to explore the concept of love in one of his films. "The title of the film is 'October'. I cannot reveal much at this point but I am really looking forward to this story. I usually work with an idea and this time I am exploring the idea of love or how I see it. This one came from a newspaper clipping that I happened to read," Sircar told PTI. Varun and Sircar were already in discussion about a possible collaboration and this story seemed like a natural fit for the actor. "I remember meeting Varun at my office and while we were having tea I realised that he would be perfect for the story that I was writing with Juhi. After he left, I called Juhi and asked whether she had ever met Varun. She told me that his name had cropped up in her mind as well. "I immediately called him back to narrate the idea as I did not know how he would react. But he was also looking for something unusual," Sircar said. 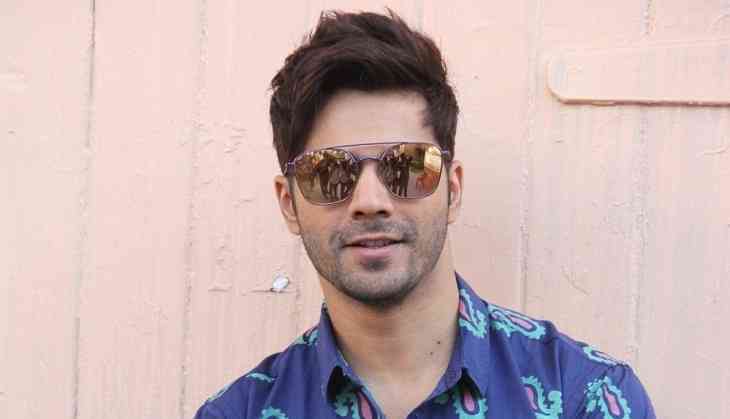 Varun, who is currently busy with his next film "Judwaa 2", said he is looking forward to working with Sircar and Juhi. "I like to do films that are entertaining and out-of-the-box. I have been an ardent fan of Shoojit da's films and have always wanted to work with him. 'October' is a beautiful story in which I play a character with many layers. "It's a difficult character to play and something that will challenge me as an actor. I hope people get to see a new side of me with this film," he said. Sircar said as a director he always looks for stories that inspire him as a human being. Like his previous projects, Delhi will play an important role in 'October' as well. The leading lady of the film is yet to be finalised but producer Lahiri, who runs Rising Sun Films with Sircar, hopes to release the film sometime early next year.